You have likely seen a lot of coverage about digital transformation. Its definition seems to vary depending on the agenda of the source of the information. But a good objective definition of digital transformation is a deliberate move by an enterprise to implement digital technologies that enable the business to change how it delivers value to its customers. In other words, this is a change in how you do business. 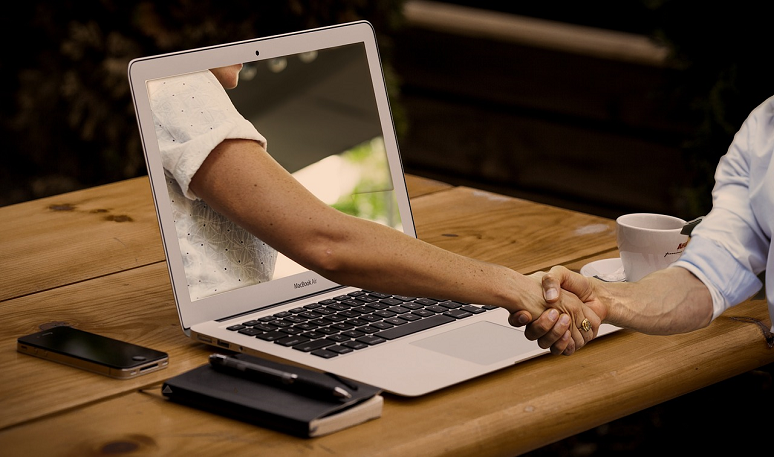 There are two areas that are commonly affected by digital transformation efforts: the contact center and the customer-facing website. 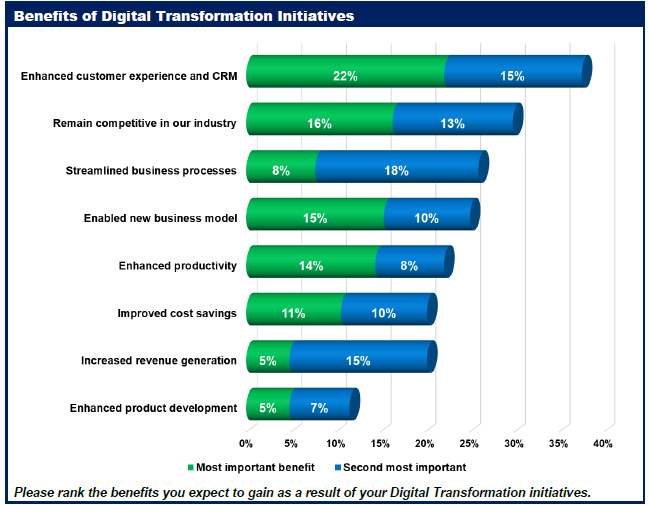 As I was preparing my presentation for a session on digital transformation for last week’s Enterprise Connect 2019 conference, I reviewed a Webtorials report titled, “2019 Digital Transformation Market Trends Report.” The report provided the results of a study of enterprise executives’ viewpoints and opinions on digital transformation. The top two benefits respondents identified were delivering better customer experience and remaining competitive. See the chart below from the study. Your best practices will change throughout a digital transformation because the market, competition, and customer behavior is not static and changing as well. This is to say that digital transformation is not a once-and-done effort. You need to adapt your best practices by regularly reviewing your selected KPIs so you can better ensure you stay on target. If you select your KPIs correctly you will improve your ability to succeed and be able to describe the success to key stakeholders. The Gartner document also covered its viewpoint about KPIs. You should not look for a standard KPI list to use for your digital transformation. KPI lists can be starting points, but they are designed by someone else for their unique environment so may not be as applicable to what you are trying to achieve at your enterprise. Your KPIs need to reflect and be specific to your industry, and possibly to the geography and culture you operate within as well. What is being measured? Gartner shares an example might be the portion of customer interactions that are going through digital channels. Note that what you already measure in the contact center is different from what you measure for the website. What is your present status for measurements? Don’t discard these measurements, but you may have to correlate them differently with new metrics. What is the desired business outcome/benefit? You are changing your business, so think about trying to quantify the benefits and value added through the digital transformation -- i.e. revenue growth, increased market share, improved customer loyalty, etc. Gartner closes the paper with an explanation of a balance point. The balance point describes the reasons why you should not over-digitalize. Doing more of the same does not necessarily produce more positive results. Even if you go for 100% digitization, this does not mean you will deliver more beneficial and cost-effective results. It’s the law of diminishing returns. Measure your digital journey progress and the business value it delivers. Measure KPIs that support your specific outcomes and expectations. Every organization will evaluate its goals differently. How executives measure success will also vary. Don’t look for a cookbook approach to digital transformation. Don’t start your initiative with too many goals, but identify two or three good ones to start. Too many initiatives make it hard to determine what worked, how well, and what is the ROI.